Melaleuca (commonly referred to as tea tree) essential oil is the most common solution I recommend. Many of the essential oils have inherent antimicrobial properties that make them effective for these many uses, but melaleuca has consistently shown positive results across the board. Melaleuca is backed by scientific research. 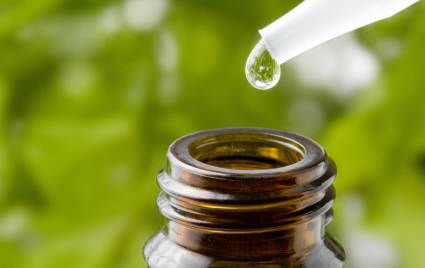 Many of the highest quality essential oils have been studied in recent clinical trials. This research has demonstrated that melaleuca is highly beneficial in a vast array of uses. Studies have revealed that melaleuca (specifically Melaleuca alternifolia) have antibacterial, antifungal, anti-parasitic, antiseptic, antiviral, and insecticidal properties. This is one of the reasons it is so effective when used in homemade household cleaning products and insect repellants, acne products and regimens, and also to treat fungal conditions like hand warts, athlete’s foot and dandruff. In fact, one study even illustrated how melaleuca is as effective as benzoyl peroxide in the treatment of acne, without the irritant and potentially toxic side effects. Here’s a great tip for parents: put a few drops of melaleuca essential oil into your child’s shampoo and conditioner (make sure your child keeps his or her eyes closed during shampooing and conditioning) to prevent the infestation of lice. I know no one likes to talk about lice, but let’s face it, if you have kids in school it is definitely something to try to avoid! I first found out about using melaleuca to treat and discourage lice infestation at our old preschool. If there was any suspicion of lice, the entire school was treated with melaleuca, which helped to prevent infestation. It worked like a charm. Melaleuca is also very soothing because of its analgesic and anti-inflammatory properties. This is also great for treating irritant and inflammatory skin conditions like eczema and rosacea, as well as histamine-induced rashes and other forms of dermatitis. It’s also great for helping minor scrapes, cuts, and burns heal. Other studies have identified more compelling benefits and properties of melaleuca, including its potential to inhibit the growth of malignant melanoma and other cancerous cells. Let’s be very clear that I am not saying that using melaleuca will cure cancer. However I think the research that has been published has shown enough promise that more studies should be conducted in this area. Melaleuca is approved for oral use as a food additive or flavoring agent by the Food & Drug Administration. * However, I don’t recommend taking it internally as a dietary supplement or home remedy, because doing so can be toxic. Some protocols for systemic fungal infections, like Candida Albicans (which can cause yeast infections like oral and vaginal thrush in additions to other infections and inflammatory conditions), do recommend taking melaleuca internally in very small doses for a short period of time (not for children). However, this should not be done without the expertise and guidance of a registered aromatherapist or licensed healthcare practitioner who is well-educated about essential oils and their properties. It is also very important to note that not all essential oils are equal, and not all are suitable for internal consumption. The FDA does not regulate essential oils in terms of purity and quality, or where/how the oils are sourced the same way certain other countries do (Australia do es have a government agency that regulates essential oils for purity and quality). What this means is that any essential oil company can claim that their oils are “pure”, without having to provide evidence of those claims. 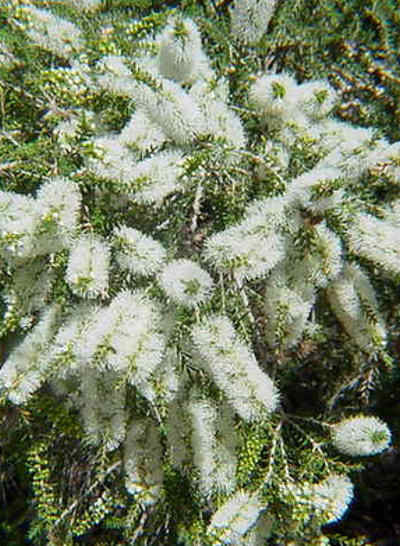 Additionally, melaleuca comes in several different species. Some have therapeutic benefits, others do not. Melaleuca alternifolia, a plant native to Australia, is the species to which studies have linked the best results. Melaleuca is best used topically for most conditions, but is also very effective when inhaled. Undiluted melaleuca can cause skin irritation after prolonged topical use. I personally recommend diluting a few drops in some coconut oil (also has great soothing and antimicrobial properties) before applying it to the affected area.